If mankind can show impressive lifespan records beyond the century, some animals can live far beyond. Often slow-growing, these animals sometimes live in the deep sea and reach tens or even hundreds of years. Here is a sample of these amazing beings of vitality. Well known for their eggs, sturgeons are one of the oldest families of boned fish on the planet. Native of Eurasia and North America, they do not have scales but reach impressive lengths, up to 5.5 meters. Being an endangered specy, they can live beyond 100 years, reaching sexual maturity only after at least 20 years. In 2012, the Wisconsin Department of Natural Resources marked a 125-year-old sturgeon before releasing it into the wild. The orange hoplostethus inhabits all the oceans, but between 900 and 1.800 meters deep. Only reaching sexual maturity between 20 and 30 years, this fish has a maximum lifespan ranging from 125 to 156 years. However, with fairly long lifetimes, this fish accumulates large amounts of mercury in his tissues. The oldest specimen was 149 years old. Scientists determined that age by studying the isotopes found in the otolith found inside the inner ear of the fish. Considered to be one of the largest bivalve marine molluscs, the Pacific Geoduck lives in the sand. Edible, it has an incredible longevity of up to 150 years. Native to the western side of North America, geoduck clams have long siphons up to one meter long. According to researcher J.M. Orensanz, the oldest specimen found was 168 years old. This species of the Siboglinidae family lives in the depths of cold water, where hydrocarbons, such as oil or methane, escape from the subsoil. Up to three meters long, these worms grow very slowly. As a result, they can live particularly long lives. According to Sharmishtha Dattagupta, their longevity can reach 170 years. Native to the Pacific Ocean, the giant red sea urchin can reach, as its name suggests, impressive sizes with a diameter of nearly 20 cm and thorns of more than 8 cm. Larger sea urchin known, it also has a considerable life expectancy, thanks to its capacity to regenerate its lost peaks. While most of these sea urchins are easily older than 30 years, researchers have discovered a few specimens in British Columbia and Canada over 200 years old. The bowhead whale can measure 20 meters long for a hundred tonnes and lives in arctic and sub-arctic waters. Scientists also believe that this species is able to live more than 200 years thanks to its very slow metabolism, adapted to the icy environment rich in food of the Arctic. In 2001, Ned Rozell of the University of Alaska analyzed a 211-year-old whale. The method of measuring age having a 16% error range, the whale would have been between 177 and 245 years, making it the oldest mammal that existed. This freshwater mollusc is found in many rivers in Europe, Russia and North America. At the edge of extinction but closely watched, it has an exceptional longevity often exceeding a century. This species was exploited for its pearl production until the middle of the 20th century. Recently, Russian scientist Valeriy Ziuganov discovered that mussels did not show signs of aging and that their maximum lifespan could be as long as 210 to 250 years. In addition to Jonathan and his 182 years, most giant turtle species can live for hundreds of years. The oldest turtle would be Adwaita, who died in March 2006, a giant Seychelles tortoise living in India. Today, the oldest are Jonathan, 182, and Esmeralda, 170. However, it is often difficult to know exactly how old they are, since they tend to survive their observers. You may have heard of this Icelandic clam which bears the name of the Chinese dynasty during which it was born. Having lived for 507 years, it was killed by accident in 2006 by scientists while they wanted to study it. Many other specimens most likely live in the depths. In fact, other Icelandic grasslands collected on the coast were already over 400 years old. Also known as the immortal jellyfish, it is known for its unique feature: the animal is able to rejuvenate. It can return to a state of sexual immaturity after reaching sexual maturity. 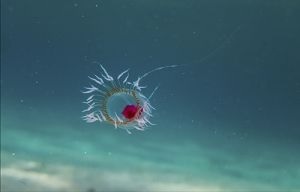 Whenever the jellyfish is exposed to stress or physical attack, it returns to the asexual stage of polyp, through the process of cellular development called transdifferentiation, which alters the different stages of cells transforming them into new types of cells. This makes the jellyfish potentially immortal biologically, if it is not a victim of diseases or predators.